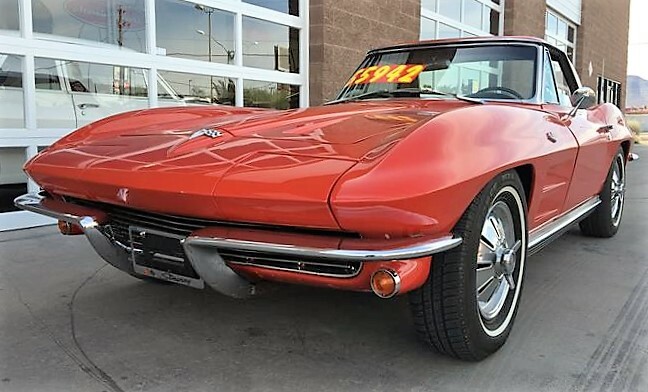 We’re all grownups here, so I suppose most of us know that Prince’s song “Little Red Corvette” wasn’t really about a car. 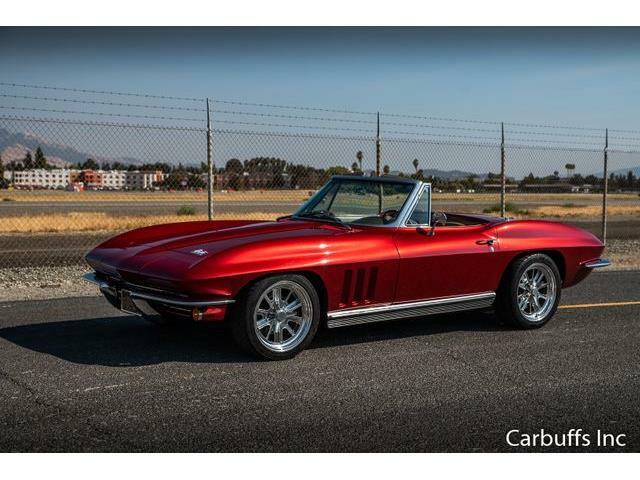 The 1964 Chevrolet Corvette roadster was repainted in the factory-correct Riverside Red during a total exterior restoration, according to the Henderson, Nevada, dealer listing the car for sale on ClassicCars.com. 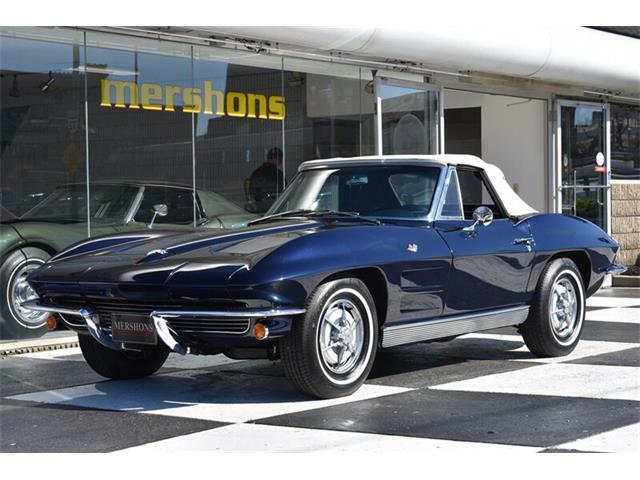 This was the second year for the C2 Stingray, and the all-American sports car boasts the purity of its original design, though without some of the exuberant embellishments of the ’63, such as the vestigial chrome trim panels on the hood or, in the coupe, the split rear window. 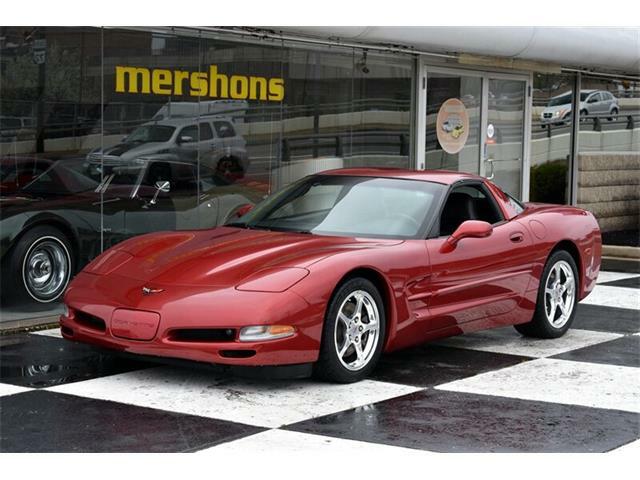 Some find the look cleaner, others see it as a less-interesting design compared with the earlier or later C2 models. 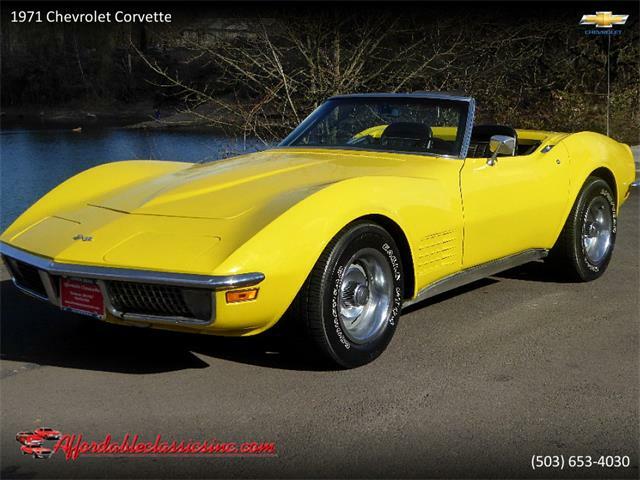 The Corvette is a non-numbers-matching car, according to the dealer, though it runs an original-type 327cid V8 with four-barrel carburetion and four-speed manual transmission. 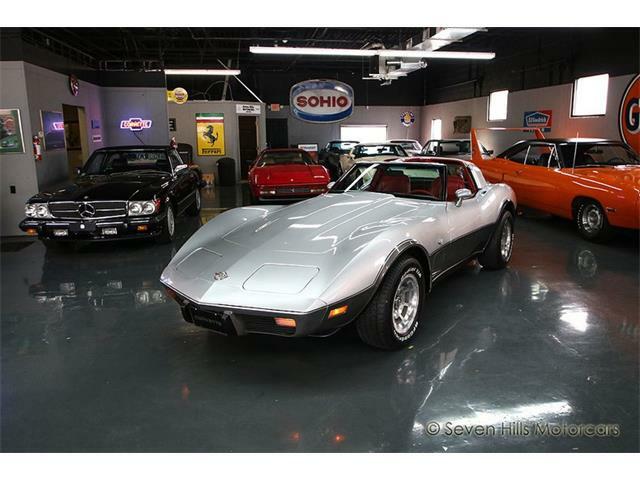 The clean-looking interior is original, the ad says, as is the California trim. 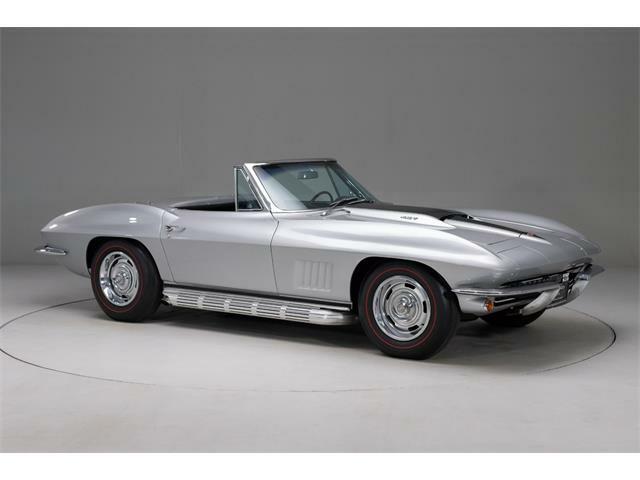 The car underwent partial restoration last summer, the dealer says, that included an engine overhaul with aluminum heads, electronic ignition and dual exhaust, plus the addition of disc brakes up front and new shock absorbers. 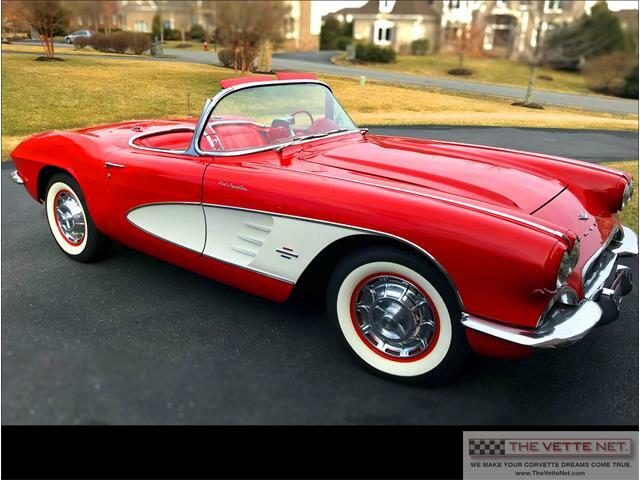 The factory hardtop was also restored at that time, the listing adds, although there is no word about the condition of the standard cloth top. 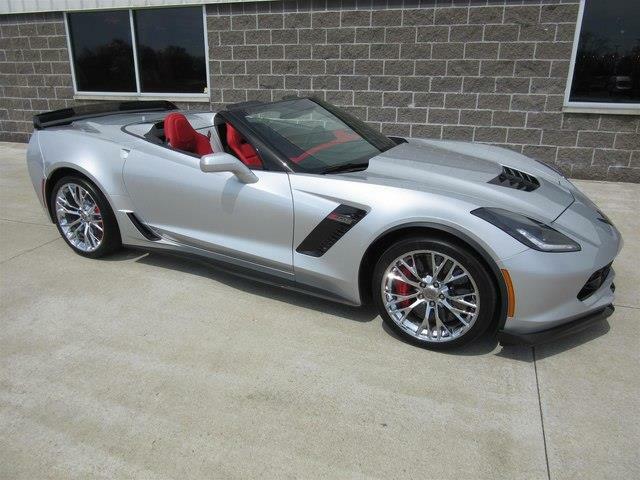 There’s also no information about the horsepower rating of the V8, which with four-barrel 327 models can range from 250 to 365. 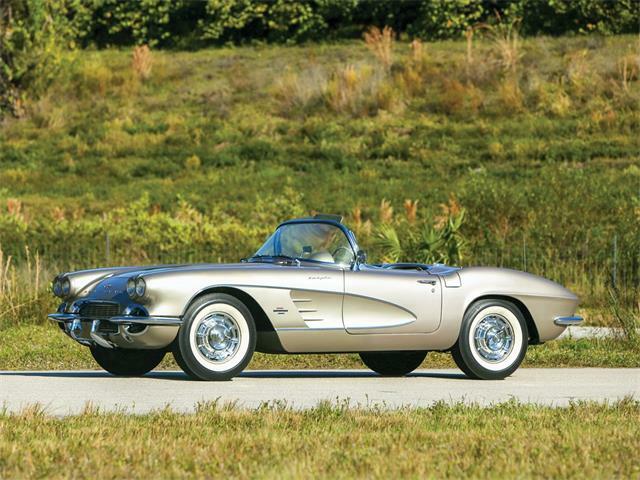 Obviously, that has a lot to do with its value as a collector car. 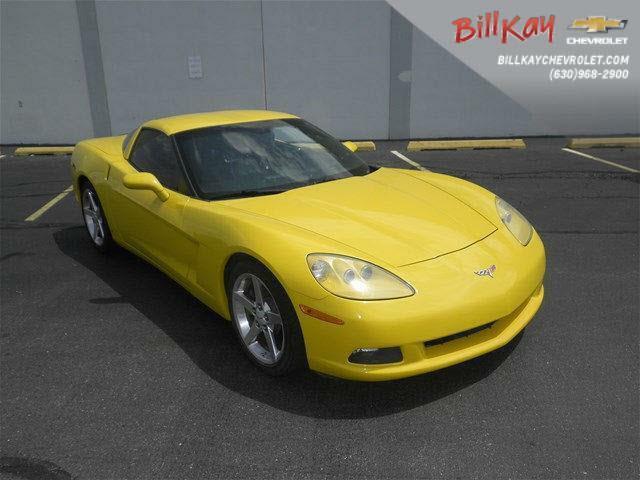 So the oddly exact asking price of $55,942 might be high or it might be low, depending on the engine specs. 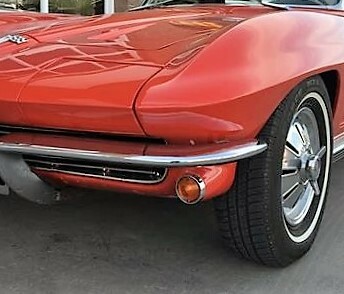 Hopefully the dealer will have the information about which 327 is under that broad fiberglass hood. 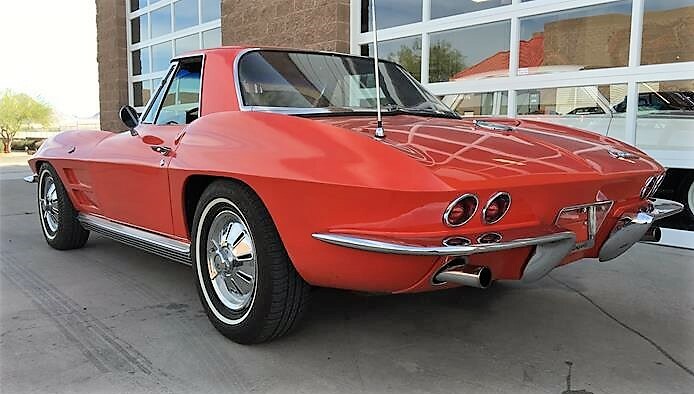 But whatever the engine turns out to be, this little red Corvette seems like a worthy sports car for when “You need a love that’s gonna last,” as Prince might have sung about it.